Christmas is about the Giving, not the getting…! We’ve all gotten Christmas gifts that were not to our taste, inappropriate or completely useless. 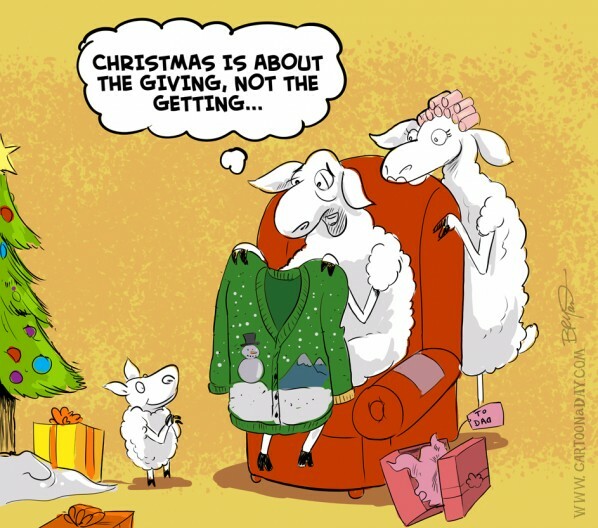 Like this Sheep Dad got a wool sweater from his son, but that’s not really the point. Christmas is more about the spirit of giving, not getting.